Today the U.S. Senate voted down a bill that would have acted to expand background checks prior to the purchase of a gun. 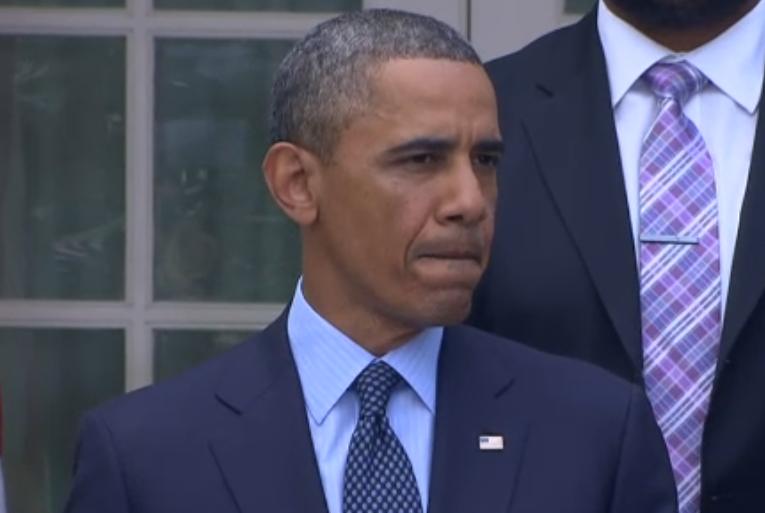 Subsequently President Obama gave a speech in the Rose Garden. Above is a video clip from that speech. At the 0:23 second mark he begins, "...Ninety percent of the democrats in the Senate voted for that idea. But it's not going to happen. Because ninety percent of republicans in the Senate just voted against that idea." Just after this segment, during the 0:35 - 0:37, the President's facial expression is highly indicative of anger-frustration. This particular body language seen at this moment has several components centered around the mouth-jaw-lips-chin and the tissue adjacent to the lips. Clenching the jaw is a nonverbal which is highly consistent with anger. The masseter muscles which close the jaw can be seen contracting here. The Presidents lips also grow very thin as the tissue is stretched in a straight horizontal line - this is also very indicative and highly reliable sign of anger. In addition Mr. Obama's lips also are rolling inwards - however unlike the conventional and completely expressed "Inward Lip roll" (ILR) - due to his tightly closed jaw, the lips cannot be fully "rolled in"; subsequently the tissue adjacent to his lips, particularly his lower lip gets "bunched up" (peri-lip bulge). Another finding here is a bit more difficult to see, but even though this video and image below are not high definition, a dynamic wrinkling-dimpling of the skin on his chin can still be visualized. The President's eyebrows are also pulled together and down - a signal of anger which is recognized by most people if prompted. However most people are fully present enough and are not observant enough to look for this nonverbal. Much less recognized is the slight narrowing of the distance between the President's upper and lower eyelids and a coexisting tightening of the eyelid muscles, the orbicularis oculi (pars palpebralis) - most easily seen on the lower eyelids. This video, like most, is chocked-full of body language - but just looking at POTUS's mouth-lips-jaw-chin we see four nonverbal configurations clustered together and are strong indicators of anger-frustration.